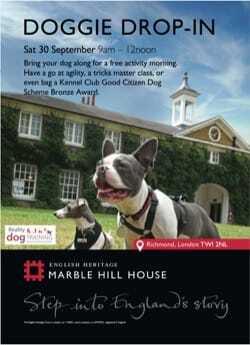 Marble Hill is epitomised by its canine visitors, and we’re inviting local dogs and their owners to come along for a FREE drop-in event on Saturday 30 September between 9am and 12 noon, near the cricket pitch. Bring your dog along for a free activity morning. Have a go at agility, a tricks master class, or even bag a Kennel Club Good Citizen Dog Scheme Bronze Award. Humming Bee is a weekly Music and Movement class for preschool children, based on the Kodály principles of teaching musicianship. With an emphasis on live music making; we sing, play, listen, and move to music. Join a new music group this Sunday 24th September 2017 at the ETNA Centre. There are back to back classes at 10.00am and 10.45am. Thinking about yourself, now that the kids are back to school? Join this career coaching class and figure out what is next. Why not join in the fun at Orleans House Gallery and try an art class for you and your children! The Riverside Gallery at the Old Town Hall, Richmond will play host to an exhibition of work by mid-twentieth century artist Charles Mozley over the next few months. Mozley, who lived in Richmond for twenty years, was part of the English Romantic movement. 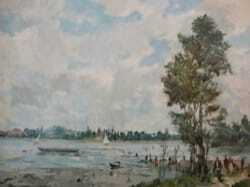 During the Second World War, he worked in camouflage along with other artists, such as Edward Seago. 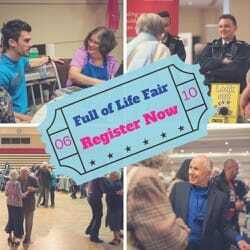 The Full of Life Fair is coming to town again on Friday 6 October and registration is now open. The free annual event aims to enhance digital skills and promote healthy and independent living, tackling isolation and loneliness open for residents over 55. 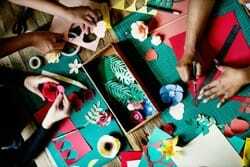 A weekly art club for young people with Special Education Needs (SEN) is now inviting new members to join this Autumn. Octagon Club is a weekly club for young people with SEN aged 11 years to 17 years. They meet in the Coach House at Orleans House Gallery every Tuesday after school. 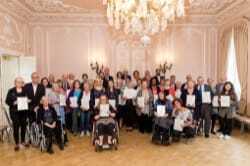 Forty-seven local heroes ranging from across the borough were honoured with Community Awards at a ceremony on Friday. Richmond Council invited members of the public to nominate residents who they feel have given outstanding service to the community, improved the quality of life for local people or benefited the community through community involvement or volunteering. 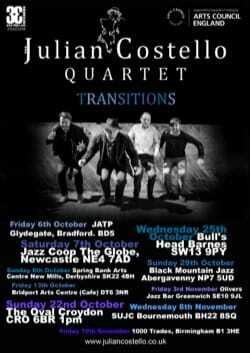 Local band, the Julian Costello Quartet has just released their new album, Transitions on 33 Jazz Records. Expect to hear music which encompasses many moods, is energetic, humourous and melodic. They are touring the UK with support from Arts Council of England. 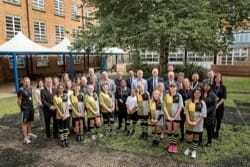 The borough’s newest secondary school opened its doors last week, welcoming 140 Year 7 pupils. The Richmond upon Thames School is governed by The Richmond upon Thames School Trust, made up of partner organisations including Harlequins, Haymarket Media Group, Richmond upon Thames College, Achieving for Children and Richmond Council.